With the buy-now-pay-later mentality of today’s society, many people have fallen into the trap of bad credit. Because of the vastness of this group of prospective customers, it’s no wonder that most lenders now have programs in place for people with credit trouble. Because of the potential for higher interest rates, fees, and therefore profits, they view this as a very lucrative area of business to tap into. Consequently, bad-credit credit cards have become much more widely available. There are several different types of bad-credit cards which are available: prepaid, secured, and unsecured. Prepaid credit cards are in essence no more than debit cards. 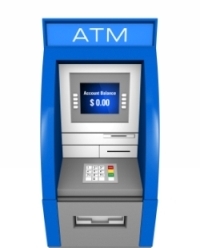 To obtain one, you simply open an account with the issuing bank by depositing a certain amount of money. The amount that you deposit will be your “credit” limit. The bank is, however, not actually issuing you any credit; any purchases that you make with the card are debited from your deposited funds. When you exhaust your funds on deposit, you can no longer use your card, until you deposit more money into the account. There are no monthly bills, because the money that you are using is already yours. These cards generally cannot be used to book rentals of cars or hotel rooms. They are usually worthless for credit-rebuilding also, because banks do not report to the credit agencies on these types of accounts due to the fact that no credit has actually been extended. Secured credit cards are just that: they are secured by collateral in the form of funds deposited in a savings account with the bank that issues the card. Secured cards are exactly the same as regular credit cards except for this feature, which is a prerequisite for the extension of credit. The amount of money that you must deposit into the savings account varies with each program, but generally it determines your credit limit. If you deposit $300 into your collateral savings account, then your card has a $300 credit limit. You may increase your credit limit by depositing more funds into the account. There are some secured cards that extend more in credit than they require you to deposit, possibly $100 more or one-and-one-half times the amount that is in savings. If you default on this card, the bank will take the money in the savings account to pay the balance. The bank may or may not report to the credit bureaus on these cards, so check to make sure that they do. Interest rates and fees will be higher than those of regular credit cards. Unsecured bad-credit charge cards are regular credit cards, except that the interest rates and fees may be higher than market rates. The initial credit limit is generally low, perhaps $250 to $300; it will increase periodically as long as the account is kept in good standing. Many of these cards will charge upfront fees as a price for extending credit. Interest rates can range from 9% to above 25%, and annual fees can be $50 to $100 or more. Payment performance on unsecured cards is usually reported by banks to the credit reporting agencies, so they can help in rebuilding your credit. Again, check to ensure that they do this. Several of the better unsecured cards are listed above. Choose wisely when comparing bad-credit charge cards. Compare all of the terms and conditions closely. Some are much better than others. If used prudently (such as paying off charged balances monthly), they can be a good step in rebuilding damaged credit.